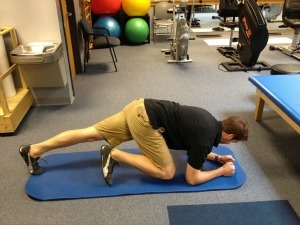 Advanced core workouts to add to your golf weight training routine. 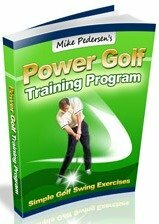 The core workouts listed on this page are intended to be both for more advanced golfers or those looking for a new challenge. Some of the exercises will be familiar to those who have seen my original Core Exercises page, but these versions take things to the next level of difficulty. 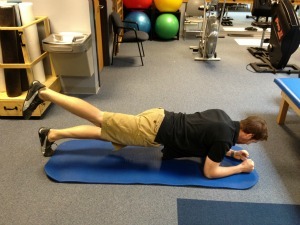 Core workouts are one of the most important parts of a golf weight training program. 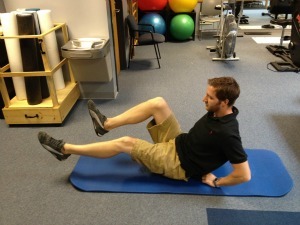 A strong core will not only aid your with your golf swing but it will help reduce injury as well. 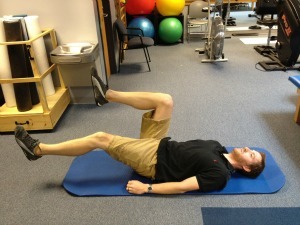 When listing core exercises, you will notice that I rarely will give you specific reps. Why is this? Simply put, everyone is different. There are golfers of all ages and fitness levels. When determining reps, find a number that challenges you and work to increase it! You will notice that will almost all of the core exercises, you will be able to increase your reps within a relatively short time frame. -Start in the traditional plank position: On the ground facing the floor with your body propped up on your forearms and toes. 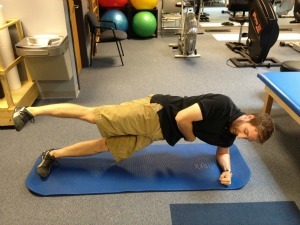 -To make this core exercise more challenging, alternate leg or arm lifts while holding the plank. -Start off in the standard side plank position: on your side with your hips elevated off of the ground, supported by your bottom forearm and ankle. -Maintain this position and lift your top leg to the ceiling. 3. 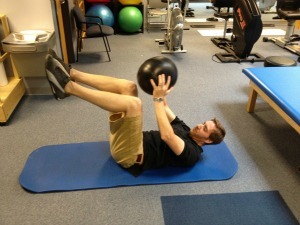 Medicine ball crunch pass - You will need a medicine ball to perform this core workout. -Start on your back with legs straight and the ball resting above your head. -Reach overhead and grab the ball with your hands. -Bend your hips and knees and bring them towards your chest while your lift the weight and bring it towards your knees. -While you are performing this crunch motion, pass the ball from your hands to between your knees and return to the starting position. -Next, reverse the exercise by performing the crunch again but pass the ball from your knees back to your hands. -Lie on your back with your hips and knees both flexed to 90 degrees. -While holding your legs in this elevated position, contract your abs and slowly lower your right leg (and straighten the knee) so that it is hovering just above the ground. -Return that leg to the starting position, and then lower the left in the same manner. -Sit on the ground, with your knees bent to a 45 degree angle. -Lean back (supporting gently with arms if needed) and lift your legs into the air and perform rapid bicycle kicks with your legs. -Start easy and target 10-20 kicks before bringing your legs back to the floor. Increase both sets and reps as you improve. -Begin in the standard plank position. -Flex your right hip and knee and try to touch your knee to your right elbow. -Return that leg to the starting position, and attempt again with the left. -Start with 10-20 reps per side, and increase as tolerated. As I mentioned above, these core workouts are intended to be more challenging. If you need even more of a challenge, consider adding a training device such as a stability ball, foam roller, or BOSU ball.